There are several ways to get to Belize. 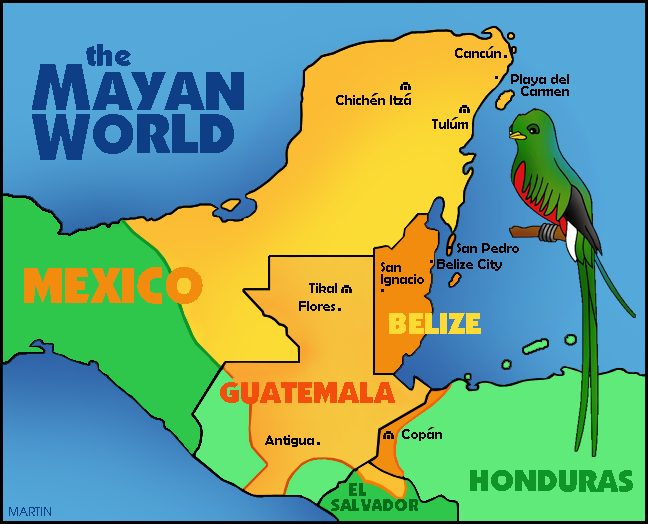 A lot of people would fly into Belize City. That would be the logical way to do things. I never seem to do things logically. For my two trips to Belize, I first flew into Cancun, Mexico, and then took a bus south to the border. It takes an extra day of travel each way. H O W E V E R, it is half the price. I like half the price a whole lot. The buses in Mexico are simply wonderful. There are assigned seats, with air conditioning, and everything runs on a schedule. That changes a bit when you cross the border. If you just tell yourself that you are in for a cultural experience, and go with the flow, it makes everything a lot easier. From Chetumal (the southernmost part of Mexico) you can catch a boat on to San Pedro on Ambergris Caye or grab a chicken bus on to Belize City. Do chicken buses carry chickens? It can happen. I've seen it. But, usually it is transportation more likely to squeeze humans in like sardines.